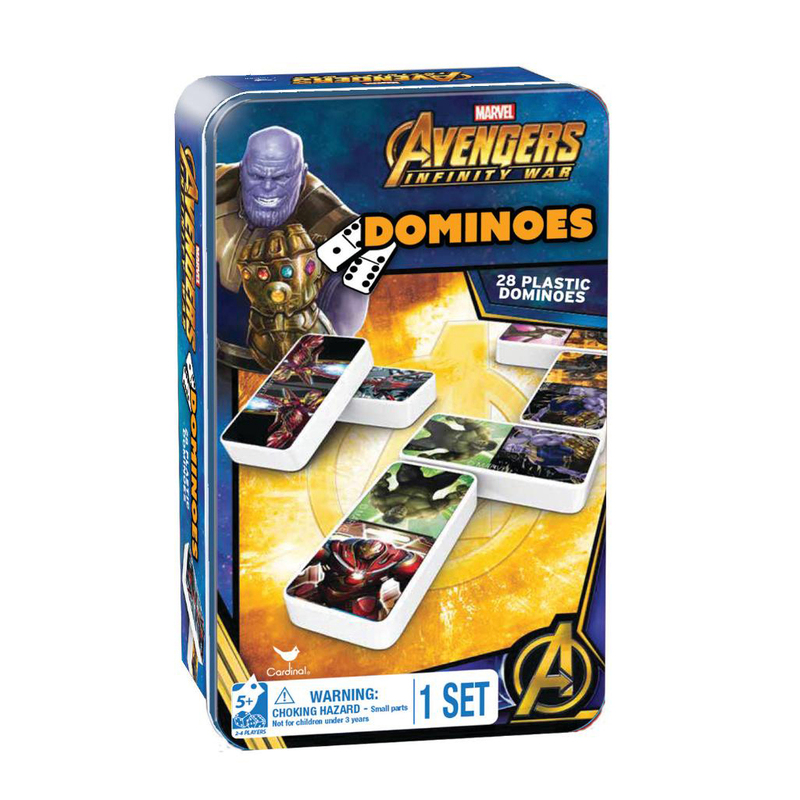 Play favorite Dominoes games with the characters from Marvel's Avengers: Infinity War. 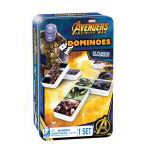 Featuring Thanos, Spider-Man, Captain America, Iron Man, Thor, Black Panther, and more, this Dominoes set is the perfect gift for any fan of the Marvel universe. Collectible storage tin keeps your dominoes organized at home or can be used for on-the-go fun.